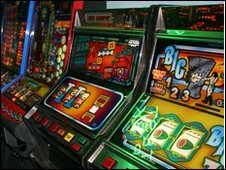 There is growing concern over the number of people turning to gambling to survive the recession, a charity says. Research by Credit Action shows that nearly one in 10 adults in the UK has used gambling in an attempt to manage their finances and make extra money. "They have to pay their mortgage and electricity bills," Chris Tapp from the charity says. "But they don't know where to get the finance to do that if they haven't got enough at the end of the month." People turn to gambling in desperation, he says. Roy Knight was addicted to gambling for more than 10 years. After a messy divorce, 42-year-old Roy turned to gambling on fruit machines as a way to escape reality but also to sort out his deteriorating finances. "At the very worst I didn't pay bills, I borrowed money, credit cards - [and] gambled that," remembers Roy. "You just try to get some of it back just to make ends meet. And at the very worst nothing comes before gambling, to the point of wanting to take my own life, so that's how bad it got." The trend of more people using gambling to get through tough times for their finances is being seen by gambling support groups. Ian Semel from Breakeven, a gambling counselling service, says his group has seen first-hand evidence of it. "People come to see us with the irrational thought pattern that gambling is a good way of getting money," he says. "In reality it's a good way of increasing your debt. And once you start in that cycle of gambling, the ironic thing is it's often seen as the only way out of the problem." It has been a year now since Roy Knight last gambled. 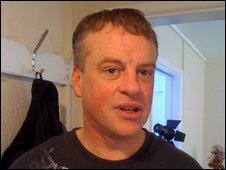 He got help from the Gordon Moody Association, which provides support and treatment for gambling addicts, but still remembers what it was like to be an addict. "It just gives you an excitement, a buzz, and you just think, 'I could go on holiday with this', and that sort of stuff, so you carry on playing," he says. "You just completely lose your mind thinking that you're going to win, that you're unbeatable."